The last few years have seen a dramatic adoption of social media and digital technologies in government, NGOs and campaigning organisations. There’s a highly active community here in the UK, and an equally vibrant counterpart in the United States, centered around Washington DC. What started as a conversation with our friends at digital government consultancy FutureGov, community builder BrightLemon and digital media consultant Kathryn Corrick, has come together to form concrete plans for a Digital Mission to Washington DC, scheduled the week 11th July 2011. Digital Missions are designed specifically for companies in the digital sector to understand the opportunities and challenges of overseas markets. Over a week, mission delegates will have the opportunity to network, meet investors, find partners and develop valuable business relationships. 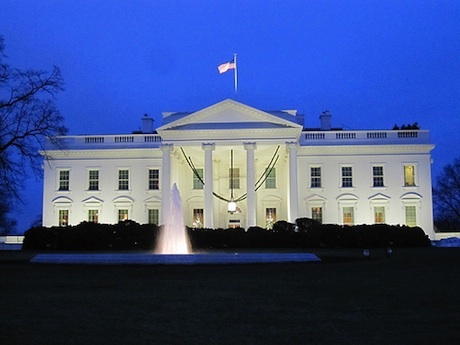 Building on the success of the previous seven trips, this inaugural week-long Digital Mission to DC, will focus on the exciting space where government meets the digital sector, whether that’s adopting open source technology, opening data, working collaboratively or developing social enterprises. With pre and post-mission events in the UK. The cost will be in the region of £650 + VAT. Mission delegates will be responsible for covering their own travel and accommodation expenses, although local grants may be available towards this. The trip will be open to innovative UK-based digital SMEs (<250 staff, <€50m turnover) with up to 20 slots available, with space (but sadly not funding) for a limited number of press and academic slots. Companies are chosen through a competitive process, selecting only the leading firms that can use the trip to support their development plans. If you’re interested in joining this mission, please let us know by registering your interest using this form. If you’d like to support the mission through sponsorship or by hosting an event, or have access to grant funding to support companies attending the trip, francesca chinwag [dot] com (we’d love to hear from you). The full application form will be available in the next couple of weeks. In the meantime, if you have any questions, do drop us an francesca chinwag [dot] com (email), or leave a comment below and we’ll get back to you.